Create a welcoming look in your home decor with this pleasant and warm loveseat. It features a sophisticated design with rolled arms, loose cushions and exposed wood legs. In addition, the accent pillows make the overall look pop. 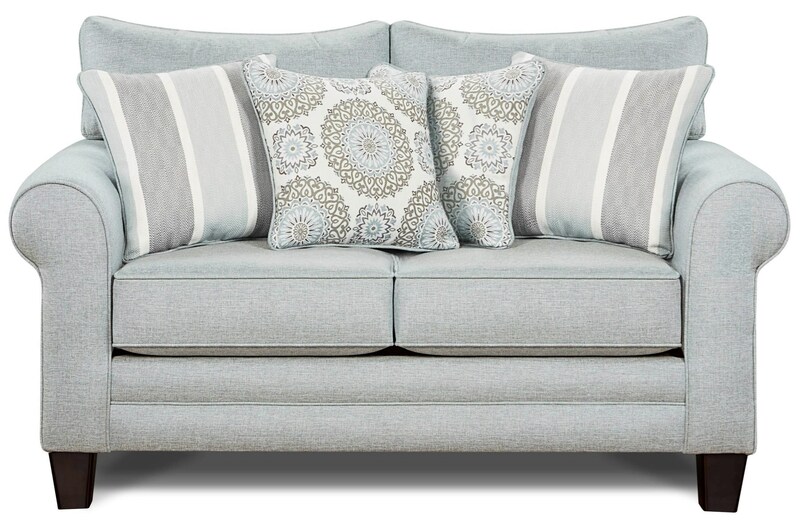 The 1140 Loveseat with Rolled Arms by Fusion Furniture at Miskelly Furniture in the Jackson, Pearl, Madison, Ridgeland, Flowood Mississippi area. Product availability may vary. Contact us for the most current availability on this product. The 1140 collection is a great option if you are looking for Transitional furniture in the Jackson, Pearl, Madison, Ridgeland, Flowood Mississippi area.